GPS Track files are a standard way to represent coordinate data from a GPS device. The points of reference represent a path taken by a hiker and can be shared with others so that they can follow their virtual breadcrumbs and retrace their footsteps. How is that for hi-tech? Who knew that GPS and broadband technologies would come in handy in the great outdoors? It is as hard to keep up with these gadgets as it is with the most rugged hikers! Get your walking boots on! Texas Hiking allows users to download track files for use on their own GPS receivers and to upload their own track files for others to enjoy. 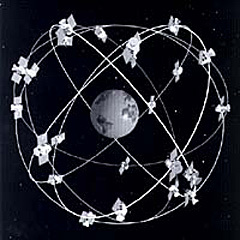 A. GPS stands for Global Position System. It is a satellite system launched by the US government that provides relatively accurate positioning anywhere on the planet. A GPS receiver (sometimes referred to as GPSr) can be used to provide the longitude and latitude describing its position on the Earth. Many of today's GPS receivers are handheld and can be taken on the trail just about anywhere. They can periodically record a location and construct a string of points detailing the path travelled. This path in the form of a track file can be shared with others. Q. What is the GPX format? A. GPX stands for GPS eXchange Format and a .gpx file is the standard format that most GPS receivers and software packages support today. Texas Hiking supplies .gpx files for some of the hikes highlighted on the site so that you can find the trails more easily. Q. How do I use a track file from the site? A. Look for the "Download Track File" option in the "Take Action" box in the upper right quadrant of the hike details page and click to down it. Save it to your computer. From this point on you'll have to refer to the documentation that came with your GPS receiver. Each brand has different software that comes with it for performing tasks like this. Alternately, you can use a third party tool for transferring GPX files to your GPS device, such as GPS Utility.